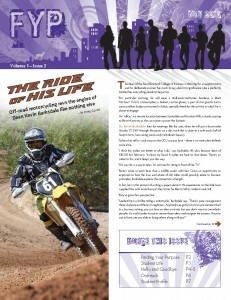 The November 2010 issue of FYP is now available on campus and online. Click here for the PDF version. KBCOB Dean and motorcycle nut Dr. Kevin Barksdale. Notes from Campus Pastor Tim Griffin, COLA Professor Dr. James Beggs and Career Services Director Jacqueline Smith. A profile of International online student Louise Tamutebi, written by online student Gina Breadon. Going to the Next Level – the top five features of the new Student Recreation Center and the top five events in Antelope Gym. A profile on freshman pre-med and award-winning songwriter Casey Lee Smith. 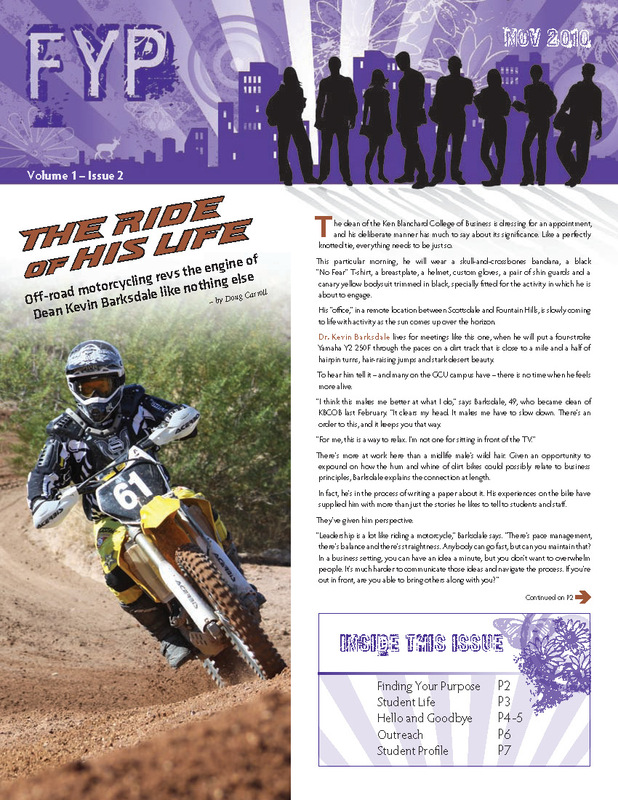 For more information on FYP, including ideas for contributions, contact Doug Carroll at doug.carroll@gcu.edu or 602.639.8011, or Zane Ewton at zewton@gcu.edu or 602.639.7086.